One word---UNBELIEVABLE! 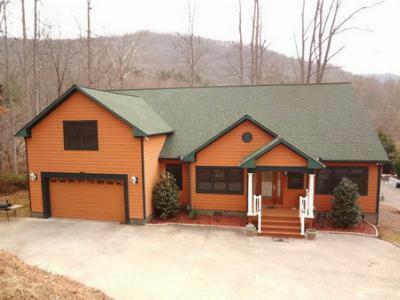 Custom home on one of the most beautiful creek front properties in Western North Carolina. 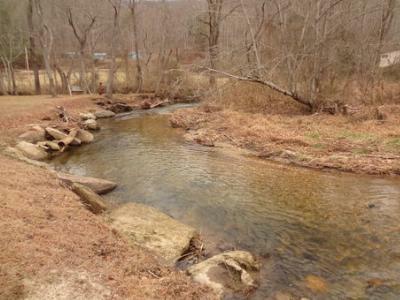 Nearly Flat, usable, 2.5 Acres with over 400 feet on the creek and Mountain Views. 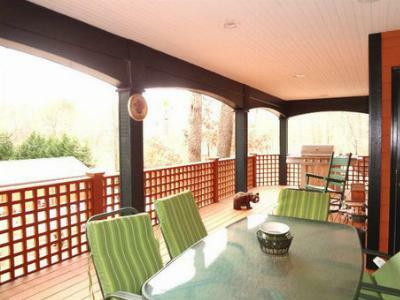 Long Range Views from the Awesome Covered Porch & Gazebo. 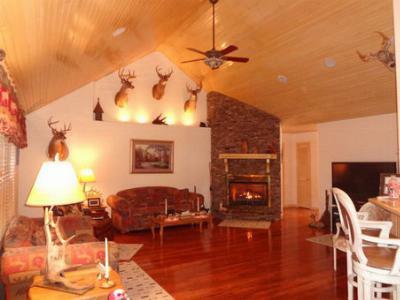 and White Pine T & G vaulted ceiling in Living Room. 3 Bedrooms, 2.5 Baths, plus 27.6' X 13.6' Bonus Room. Over 2800 Square Feet of finished space and 2 Car Garage. Master Suite w/Huge WIC, Bath has 2 sinks, Whirlpool Tub, Fully Tiled Shower. Gourmet Kitchen, Custom Cabinets, vaulted T & G ceiling, B'fast Nook w/Skylights and a View. For the men in the household....40' X 30' Ultimate Man Cave Workshop with Garage Door, room for all your toys and a workshop. Located in Otto/Franklin NC less than an hour to Cherokee, NC and Harrah's Casino, 70 minutes to Asheville, NC and only a 2 hour drive from Atlanta, GA.